BIRMINGHAM, Ala. – Biomedical engineering researchers will attack two banes of cardiovascular disease — heart failure after heart attacks and the scourge of resistant high blood pressure — with $4.8 million in National Institutes of Health grants that begin this fall. One sign of the clinical significance of this research by the University of Alabama at Birmingham investigators are the percentile scores that Jianyi "Jay" Zhang, M.D., Ph.D., and Gangjian Qin, M.D., received in those two NIH grant applications. Zhang's plan to dissect the mechanisms of electromechanical integration of a human heart-muscle patch to aid survival and stability of the patch garnered a 1 percentile score, the highest possible. Qin's plan to dissect a novel molecular pathway in endothelial cells of arteries that appears to regulate contractile function and blood pressure has "significant potential to improve human health" from the disease and death caused by high blood pressure, NIH reviewers said, and Qin received a 2 percentile score. When he deleted one of the eight E2Fs that are found in mice and humans — E2F2 — it had no effect on cell growth. "But unexpectedly, we found a striking function," Qin said. "If you delete E2F2, the vessel is more contractile. It becomes rigid and hard, and this contributes to high blood pressure." "So we had a question: How does E2F2 interact with other molecules to regulate blood pressure?" Qin did pull-down experiments with E2F2, where other proteins are flowed past tethered E2F2 molecules to see if any would bind. He found that a kinase enzyme called Sam68 did bind to the transcription factor. Ultimately, a series of experiments in Qin's lab and observations of other laboratories suggested a previously unknown mechanism of blood pressure control that involves E2F2/Sam68 and the expression of endothelial converting enzyme 1b. ECE-1b affects the levels of peptides that constrict blood vessels and raise blood pressure. Dysregulation of this pathway may contribute to blood pressure disorders, especially hypertension. 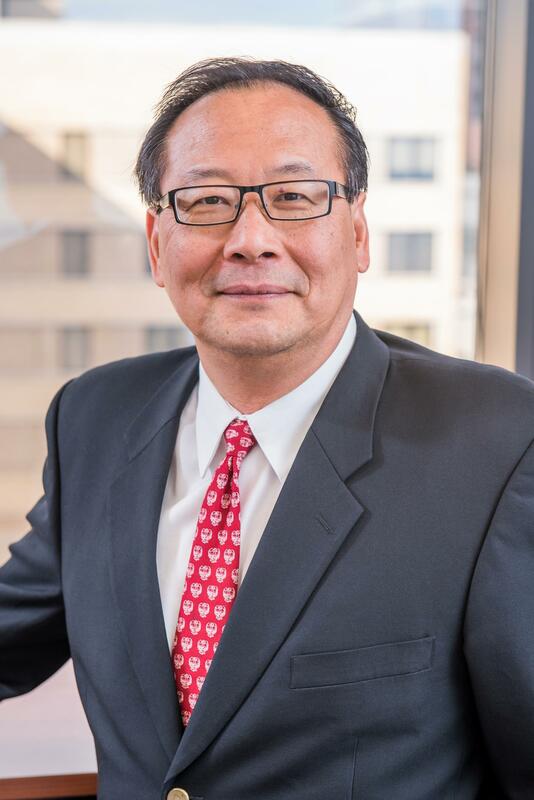 Qin says he was attracted to UAB by the strong focus of clinicians and basic scientists on solving the clinical problem of hypertension, as well as the depth and breadth of cardiovascular disease research in biomedical engineering, the UAB Department of Pathology and the UAB Division of Cardiovascular Disease. He also has great interest in Zhang's research, where Qin's past work in stem cell biology and cardiovascular science can contribute.